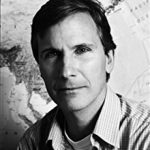 John Pomfret served as a correspondent for the Washington Post for many years, and is currently on a Fulbright Senior Scholar’s grant, living in Beijing. He is the author of the acclaimed book, Chinese Lessons, and has won several awards for his coverage of Asia, including the Osborne Elliot Prize. He holds a BA and MA from Stanford University and was one of the first American students to go to China and study at Nanjing University, and attended Singapore’s Institute of Southeast Asian Studies as a Fulbright Scholar. Raised in New York City and educated at Stanford and Nanjing universities, John Pomfret is an award-winning journalist with The Washington Post. He has been a foreign correspondent for 15 years, covering big wars and small in Afghanistan, Bosnia, Congo, Sri Lanka, Iraq, southwestern Turkey and northeastern Iran. Pomfret has spent seven years covering China – one in the late 1980s during the Tiananmen Square protests and then from 1998 until the end of 2003 as the bureau chief for The Washington Post in Beijing. Pomfret speaks, reads and writes Mandarin, having spent two years at Nanjing University in the early 1980s as part of one of the first groups of American students to study in China. He has been a bartender in Paris and practiced Judo in Japan.